The European Union came up with the General Data Protection Regulation (GDPR) back in April 2016. It was finally enforced in May 2018. The regulation posed numerous questions about blockchain’s compliance. 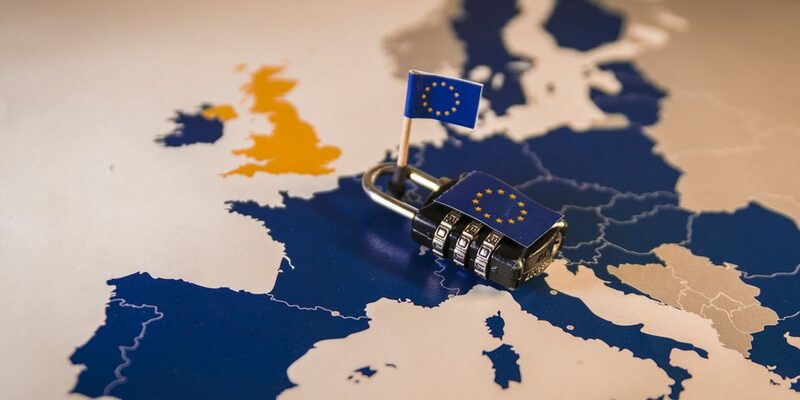 Considering the wide use of blockchain in many European countries (for example, recently Poland became the first country to move their bank records to blockchain), the lack of compliance can pose a danger to the use of blockchain in Europe. Some resources insist that GDPR and the distributed ledger technology are completely incompatible due to the very nature of blockchain. The transparency and access given to several parties supposedly make blockchain unsafe for the use of enterprises. Blockchain specialists from IBC Group say that this is not 100% accurate. Even though transactions are taking place on the network, which is visible to all the participants, the data itself is not stored on the blockchain. A cryptographic hash is taken from the data and then uploaded to the network. Blockchain-based platforms allow storing and transferring data anonymously. You could create protocols to destroy datasets in compliance with the new regulation’s requirements. Even though many people believe that GDPR can interfere with the wide use of blockchain, just the opposite, GDPR will lead to the wider adoption of blockchain technologies. The new EU regulation helped companies understand the utter importance of secure data storage. It doesn’t make sense for the legislature to interfere with blockchain systems, which do their best to comply with the regulation. The data is controlled by the owners while being safe from hack attacks and security breaches. Initially, the regulation was created to deal with the theft-prone personal data environment. Its aim is to protect information and point the enterprises in the right direction of enforcing better security measures. One of the most talked about features of GDPR is “privacy by design”. It means that instead of building the system and then adding privacy as an extra feature, the system must be initially designed in a way to minimize extraneous information collection. The blockchain is initially designed to be private and almost 100% secure. The presence of public and private keys allows the users to send and receive information in an anonymous manner, depending on the application. The public key is an address of the transaction, which doesn’t give any access to the private information. Only a private key can do it. Meanwhile, decentralizing the process of the transaction, blockchain removes the danger of hacking, which is possible for centralized data platforms. The single-breach failure of blockchain is nearly impossible since all the participants will see the breach and stop it immediately. Overall, the blockchain is what can help enterprises be compliant with the new regulations. The decentralized and highly secure nature of blockchain is what the regulation is demanding. Companies can take advantage of blockchain to ensure GDPR compliance. New tools and software may be needed to make some changes in the programs using blockchain in compliance with the new regulation. Overall, there is no danger of blockchain suddenly becoming “illegal”.